Architectural drawing, Competition entry 196, City Hall and Square Competition, Toronto, 1958, by Sidney Bregman and George Hamann of Toronto, Ontario, Canada. South elevation drawing. 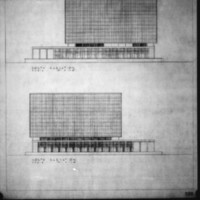 2 architectural drawings on 1 sheet, Competition entry 196, City Hall and Square Competition, Toronto, 1958, by Sidney Bregman and George Hamann of Toronto, Ontario, Canada. 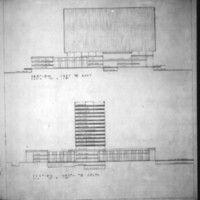 Two section drawings. 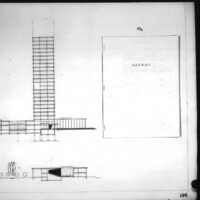 2 architectural drawings on 1 sheet, Competition entry 196, City Hall and Square Competition, Toronto, 1958, by Sidney Bregman and George Hamann of Toronto, Ontario, Canada. 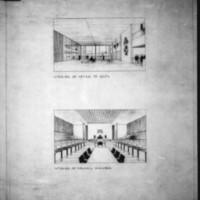 Perspective drawings of Council Chamber and main entrance hall. 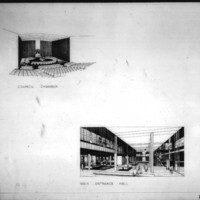 2 architectural drawings on 1 sheet, Competition entry 283, City Hall and Square Competition, Toronto, 1958, by Adamson & Associates of Toronto, Ontario, Canada. Elevation drawings of north and south faces. 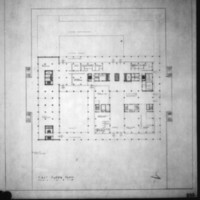 2 architectural drawings on 1 sheet, Competition entry 283, City Hall and Square Competition, Toronto, 1958, by Adamson & Associates of Toronto, Ontario, Canada. Two section drawings showing Council Chamber, and floor labels. 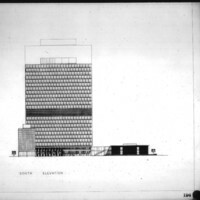 Architectural drawing, Competition entry 283, City Hall and Square Competition, Toronto, 1958, by Adamson & Associates of Toronto, Ontario, Canada. 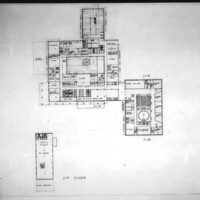 First floor plan showing colonnade, court, library and future extension. 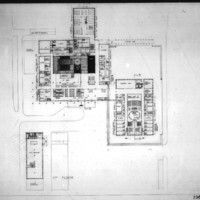 Architectural drawing, Competition entry 283, City Hall and Square Competition, Toronto, 1958, by Adamson & Associates of Toronto, Ontario, Canada. 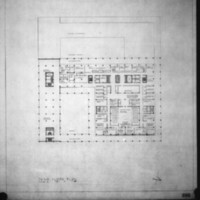 Third floor plan showing colonnade, court, offices and future extension. Virtual exhibits brought to you by Toronto Public Library. Visit our Digital Archive today!